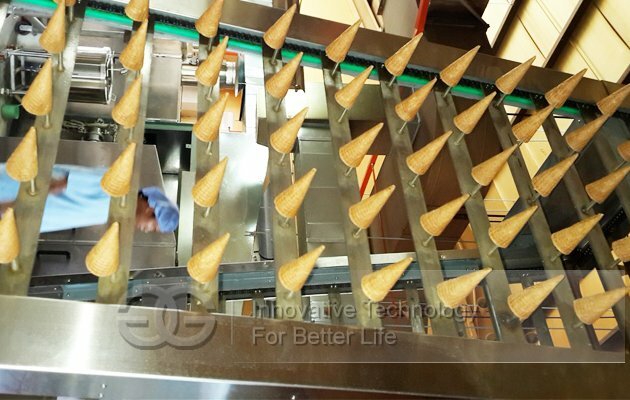 Full automatic ice cream cones line is with filling paste,baking,rolling and conveying-cooling-counting. 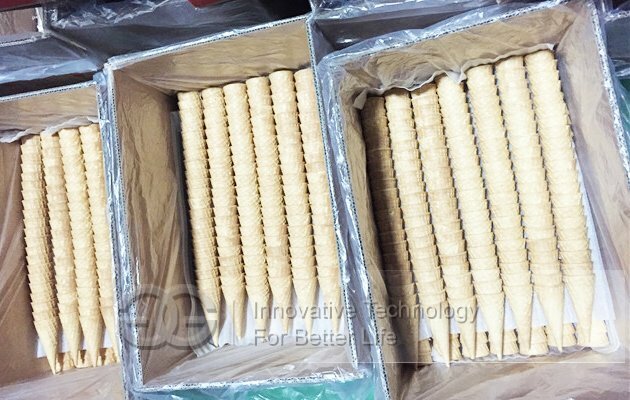 Model A: There are two pieces of wafers on each baking plate.It can make the cones within145mm long,not include the angle,weight,thickness,figure and depth of the crisp bowl. 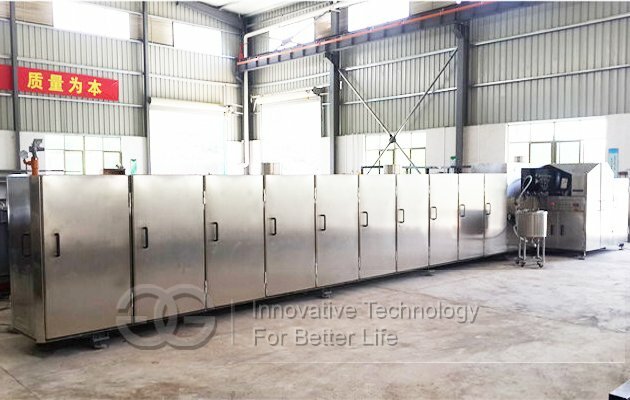 And we can design and make other models and specifications according to the different requirements from the client. 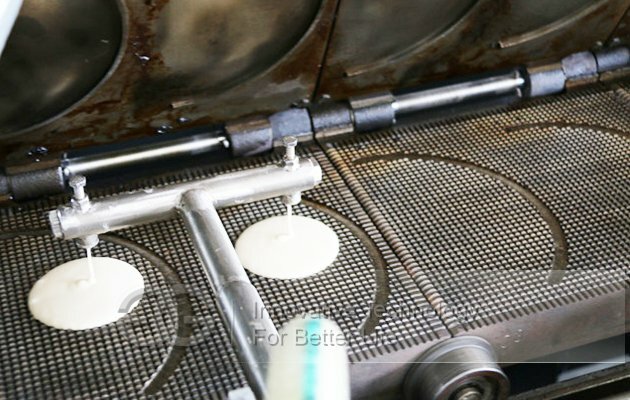 1.Full automatic filling paste,baking,rolling and conveying-cooling-counting. 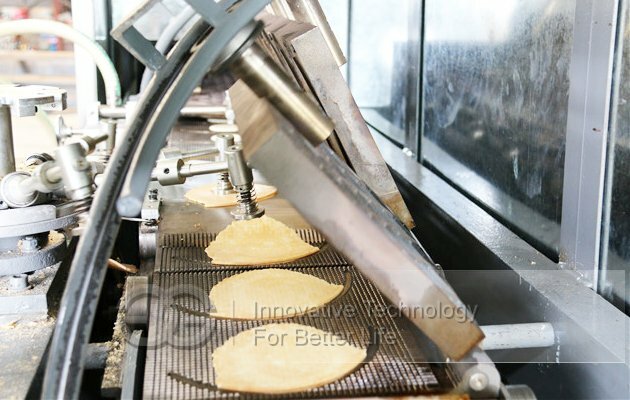 2.The same machine can make different products within round biscuit,sugar rolled cone, egg roll with changing the different forming devices. 3.Cone size within 145mm long can be customized according customer’s requirements, such as angle,width,depth,figure and thickness. 4.Electric heating and gas heating can be choose.